Renewal is the key. As one of my bosses and mentors said here recently, the key to a brand’s long-lasting success is being able to change. My ears therefore perked up as I listened, to Radio 4 yesterday evening, with a show celebrating the 400th anniversary of Shakespeare’s death. The bard, I was told, is a global business, an industry and a brand, and has remained great because readers have repeatedly recreated it. How would Shakespeare have reacted to this phenomenon? With glee, I suspect. I also learnt that he was a successful entrepreneur himself. He had an extensive property portfolio, and he was successful in commercial theatre, which was a new business back then. He had to listen to his customers (on which Merlie has said this), who may have been heading to a brothel or to the bear-baiting. According to Harold Bloom, a leading literary theorist, Shakespeare created the modern human. And according to Tina Packer, who co-authored a book about Shakespeare’s lessons for leadership and management and was interviewed on the show, he can introduce you to all the characters you will meet in business and illuminate the secrets of leadership. 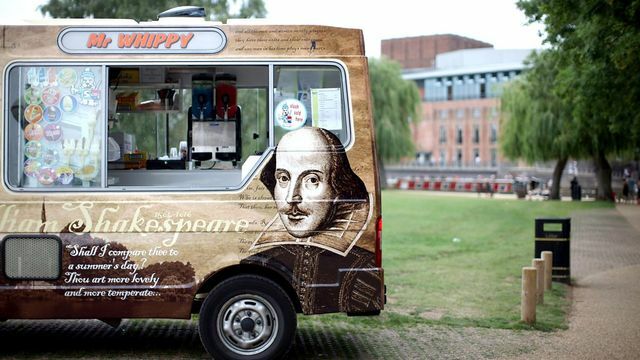 As a businessman, Shakespeare would have been more than pleased that people have essentially reinvented him so that he remains surprisingly relevant to today’s commercial community. Of course businesses want to make money. But to thrive requires that they have soul and passion, and like great people and literature, that means being responsive and willing to change. The Bard is still very much in business - and ... one of the most successful and flexible cultural brands there is.